It seems like it was just yesterday that the Rio 2016 Summer Games came to a close. Easily one of the most attended events by broadcasters from around the world, the Games are a time of competition, victory, and unity. Being able to broadcast these special moments to the world is crucial for so many of our customers. That’s why when August rolled around, we were ready. As with any major planned event, there’s so much to consider from a broadcasting perspective. 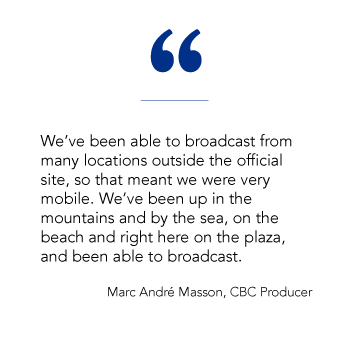 Firstly, network connections have to be strong, trusted, and available for news crews to deliver the story back to their station. Without a strong connection, there’s no story. 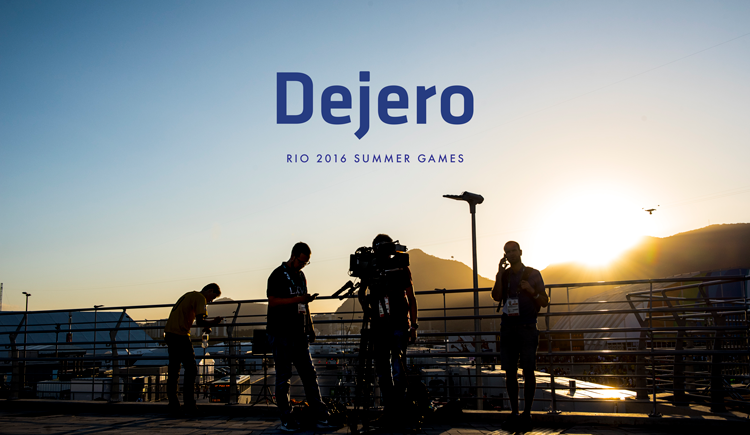 When we thought about Rio, we knew cellular network conditions would be a challenge. With our customers in mind, we set up multiple Wi-Fi hotspots in key locations that enabled them to bypass the public networks and broadcast with ease. Secondly, we considered the mobility of the news crews. 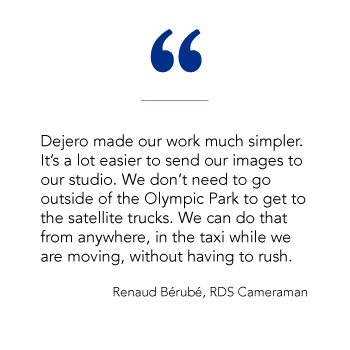 With live sporting events happening in and around Rio, we knew our customers needed to be able to move quickly to and from each location. This is why we provided our LIVE+ EnGo mobile transmitters with local SIMs. Known for its portability and exceptional ability to deliver high picture quality with extremely low latency, the EnGo enabled news crews to go live from virtually anywhere and deliver high-quality footage. Lastly, our 24-hours a day on-site support provided customers with comfort, knowing that if they experienced any issues we would be there to help them. With an event like the Summer Games, there is no shortage of stories to cover and not being able to deliver that footage is not an option. Thankfully, we were there to help out in any way we could to ensure broadcasters were able to capture those moments. We know reading about Rio 2016 is not the same as being there. So check out the video below to see our coverage of the event and to hear from a few of our customers. It’s almost like you were there! Covering a major live event? Visit our Special Events page to learn more about how we can help you with your live coverage. 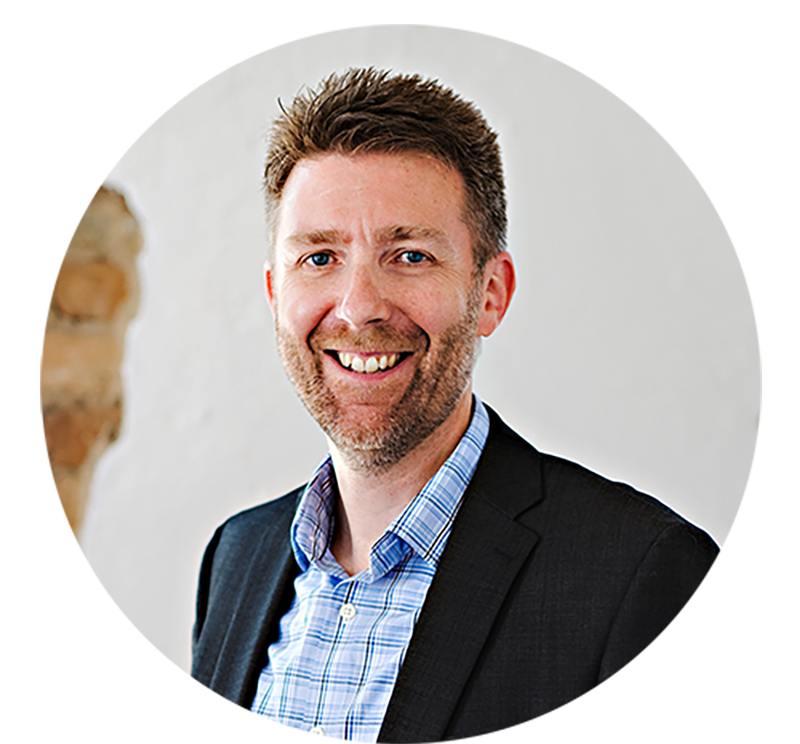 Richard McClurg is responsible for all aspects of Dejero’s marketing and communications activities in his role as Vice President of Marketing. His career spans various B2B sectors, in start-ups to global enterprises. Richard blogs about product-related news, events and general Dejero awesomeness.